Learning a new trade is no walk in the park. And Helen Spindler knows that better than anybody. After leaving Tanzania for America, she took her career in a completely different direction. And, while taking care of her family and building a future in construction, Helen is challenging traditional expectations for women and breaking down barriers. Growing up in Tanzania, Helen worked as an administrative assistant for 20 years, from when she was 22 years old until she went back to school in 2005. After earning her bachelor’s degree in public administration from the Open University of Tanzania, Helen moved to the United States. Settling down in Shoreview, Minnesota, Helen began working at a daycare center, but quickly found herself wanting more hands-on, engaging work. 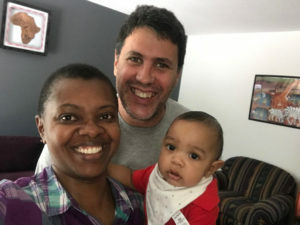 Helen met her husband, Timm, in Minnesota. She met her husband when she was working at the daycare. Timm is a union painter, and he encouraged Helen to go into painting as well. But, again, she decided that she wanted something more challenging – a trade that would engage her mind. Because at her core, Helen is a problem solver. Helen has been working for the Peoples Electric Company, located in St. Paul, Minnesota, for the past two years, where she has learned basic skills and built a foundation for a career in electrical work. 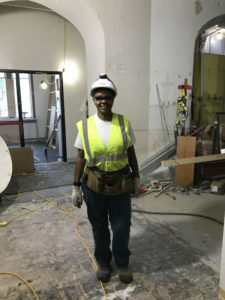 Not long after Helen began working for Peoples Electric, the company connected her with Building Minnesota, an apprenticeship program that introduces women, veterans and people of color to careers in construction. The Building Minnesota Apprenticeship program is an entry-level training program that gives individuals the chance to explore careers in the construction industry and learn a trade from organized construction unions and private companies. Seventy percent of those workers who enter the program become fully qualified union apprentices and go on to have successful careers in the union building trades. Building Minnesota helped Helen apply for an apprenticeship with the International Brotherhood of Electrical Workers Local 110 Union. She was accepted as a pre-apprentice 2016, and recently was accepted as a full-time apprentice. She’s looking forward to becoming a journeyman and eventually a master electrician. is incredibly proud to be working in a skilled trade, as expectations for women are very different in Tanzania, where she was born, than here in the United States. Helen hopes to continue challenging expectations for women around the world and to teach other trade workers as a full-fledged journeyman. Because of her higher wages and benefits as an electrician-in-training, Helen and her family are able to live more comfortably and take advantage of more opportunities. 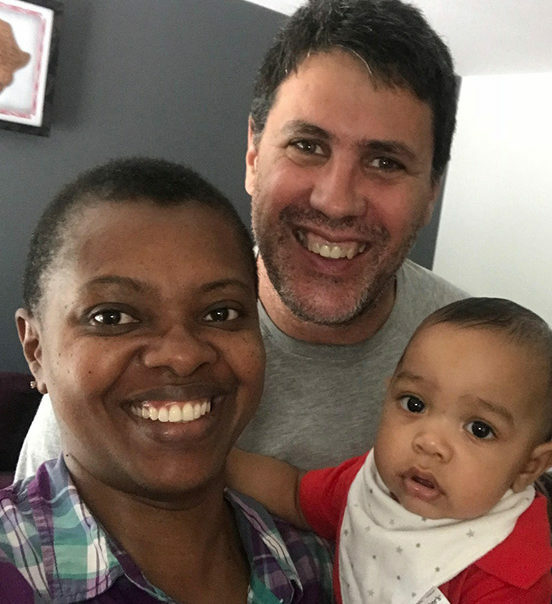 Helen has a few words of wisdom for others hoping to become electricians, particularly for black women and immigrants like her. “If you are willing to try something new and believe in yourself, you can do anything,” she says.